BIRMINGHAM, Ala.--(BUSINESS WIRE)--Regions Financial Corp. (NYSE:RF) today announced that its Board of Directors has appointed Charles D. McCrary, currently the Lead Independent Director, to serve as the independent Chair of the Board, effective January 1, 2019. He will succeed Executive Chairman O. B. Grayson Hall, Jr., who is retiring from Regions and from the Board on December 31, 2018. Mr. McCrary will also serve as the Chair of the Board of Directors of Regions Bank. 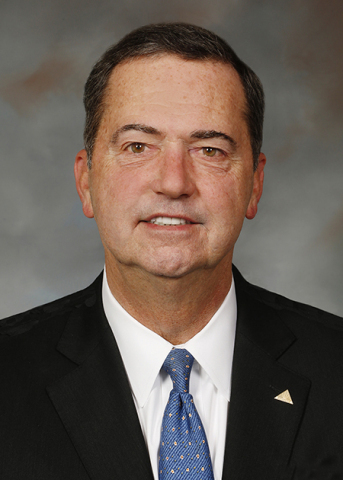 From 2001 through February 2014, Mr. McCrary served as the President and CEO of Alabama Power Company, a public utility company. He also served as Chairman of Alabama Power Company until May 2014. Mr. McCrary’s career spanned over 40 years, where he held various positions of increased responsibility within Alabama Power and its parent company, Southern Company. Mr. McCrary served on the board of directors of AmSouth Bancorporation, a predecessor to Regions, from 2001 to 2006. Since May 2013, Mr. McCrary has served as Lead Independent Director of the Board. Mr. McCrary previously served as Chair of the Nominating and Corporate Governance Committee and on the Audit Committee. Mr. McCrary holds an engineering degree from Auburn University and a law degree from Birmingham School of Law. Charles McCrary to Succeed Grayson Hall as Chair of Regions Financial Corporation’s Board of Directors.